Cuvettes are a crucial piece of equipment in laboratories that are utilizing light transfer reading. 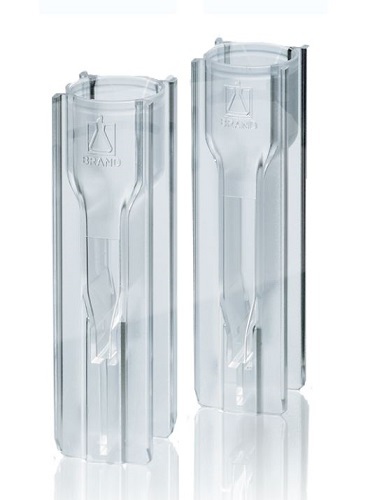 Manufactured with quartz, glass, or plastic and coming in disposable or reusable options, the specific cuvette that is needed for your laboratory can be found at Pipette.com. Pipette.com offers a range of standard, UV and fluorimetry cuvettes and micro-cuvettes to fit the needs of any laboratory performing spectroscopic measurements. Featuring light transmissions ranging from 180 nm to 2000 nm and manufactured from high quality materials, cuvettes from Pipette.com are the ideal choice. With brand names like BrandTech, Eppendorf, Globe Scientific, and Nest Scientific, Pipette.com is a one stop shop for all your cuvette needs. Resistance to many polar organics, acids, and bases. Wavelength Range: 340 nm to 900 nm. Semi-micro, 1.5 mL to 3.0 mL. Macro, 2.5 mL to 4.5 mL. Lower chemical resistance compared to PMMA cuvettes. Path length of 10 mm. BrandTech Fluorimetry Cuvettes. Disposable macro cuvettes with 4 optically clear sides for use in flourescence applications. PS and UV-cuvettes can be used in temperaures up to 70 °C. 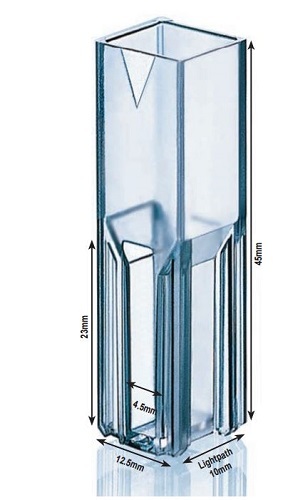 Do you need another type of cuvette? BrandTech also manufacures UV Cuvettes and Vis (PS/ PMMA) Cuvettes. Nest Scientific Standard and UV Cuvettes have a 10mm optical path length and are compatible with most spectrophotometer makes and models. These Nest Scientific Standard and UV Cuvettes are DNase and RNase free and are non-pyrogenic. 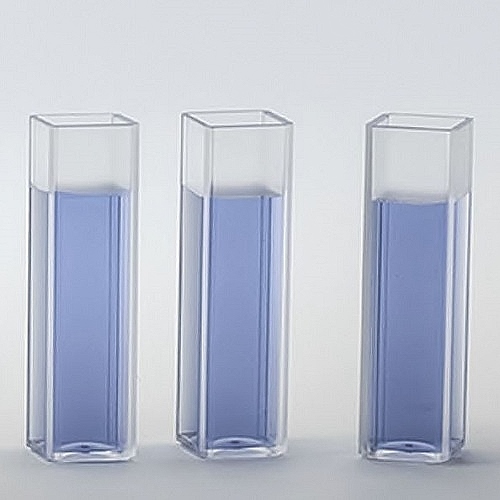 These Nest Scientific Standard and UV Cuvettes are designed to be used only once to avoid cross-contamination between samples during measurement. Nest Scientific Standard and UV Cuvettes are made from either Polystyrene or optical UV-transparent materials. The UV cuvettes are chemically stable and suitable for use with most organic solvents and weak acids and bases.